As a smart car shopper, you know how to find a great deal. 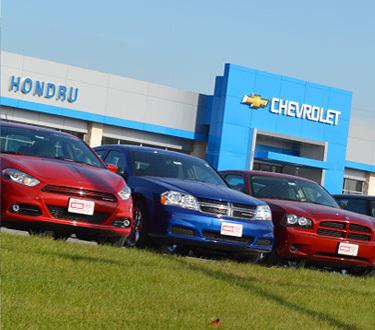 Hondru Chevrolet of Elizabethtown gives you the tools to find your next new or pre-owned Chevy car, pick-up truck, or SUV at the best prices in the Susquehanna Valley. Once you’ve located a vehicle online, contact us to schedule a test drive. Many of our customers enjoy the no-pressure way that we do business. We truly want you to find the vehicle you need and will not be happy until you are completely satisfied. In addition to new and used sales, we also stock certified pre-owned Chevy vehicles that must pass a demanding 117-point inspection. Our goal is to help you find the car or truck you’re looking for, at the lowest possible price, in a no-hassle setting. Browse online and then stop by our showroom for a closer look. 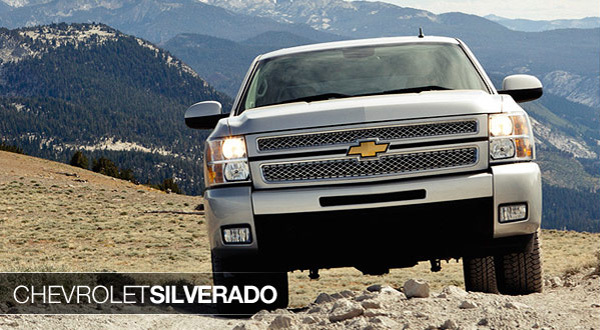 We want to get you the best deal on a Chevy in Central Pennsylvania! The highly qualified, GM-certified technicians at Hondru Chevrolet in E-Town are here to provide you with exceptional service in a timely manner. We specialize in servicing Chevy and GM vehicles, but are able to work on any make and model. 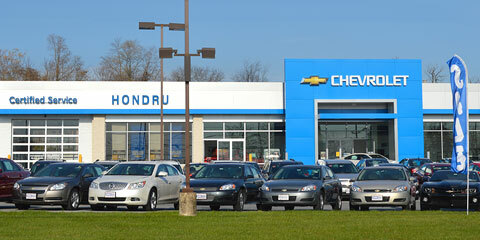 Mon,Tue,Thu,Fri 7:30 A.M. – 5:00 P.M.
Wednesday 7:30 A.M. – 7:00 P.M.
Hondru Chevrolet of Elizabethtown is located between Cloverleaf Road and Schwanger Road, just east of the E-Town square.